Home Boxing Pacquiao vs Alvarado in April? Pacquiao vs Alvarado in April? 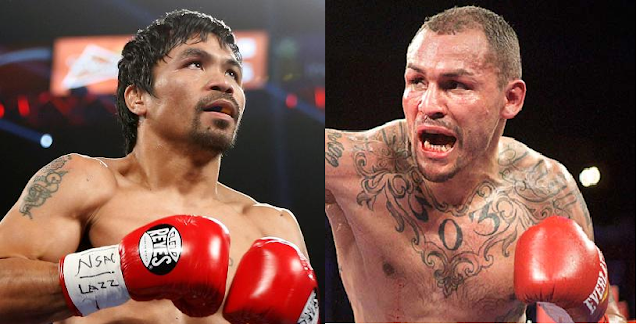 ESNews Reporting told that Manny Pacquiao will face the former WBO lightwelterweight champion Mike Alvarado in Mexico. Winner of this fight will get a possible match against the winner of Jeff Horn and Terence Crawford WBO welterweight fight. Mike Alvarado is a hard hitting 37 years old with a record of 38 wins 26 KO's with 4 defeats. Former interim WBO World Super Lightweight champion and won his last 4 fights. Meanwhile Pacquiao is already 39 years old and still fighting like young with a good stamina and speed. Pacquiao is coming off a defeat against Jeff Horn last July 2017. Pacquiao probably to retire if he lost in this fight.